The Monsoon Session of Parliament, which witnessed the elections to the posts of the President and the Vice President of the country, was adjourned sine die today. 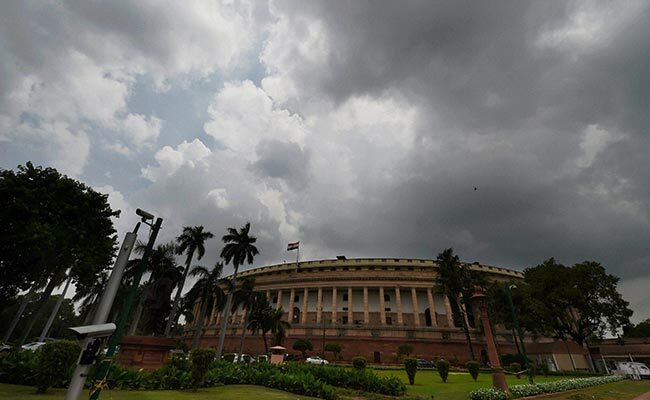 New Delhi: The Monsoon Session of the Lok Sabha was adjourned sine die today after 19 sittings that saw the passage of 14 legislations, including the Banking (Amendment) Bill, and the suspension of six Congress members for "highly unbecoming" behaviour. The Monsoon Session also witnessed the elections to the posts of the President and the Vice President of the country. Heated debate and verbal duels were witnessed between the opposition and treasury benches during the session on vital issues like cow-lynching and mob-violence, the agrarian crisis and the attack on Congress vice-president Rahul Gandhi in Gujarat, allegedly by BJP workers. A special discussion was also held on the 75th Anniversary of the Quit India Movement. Speaker Sumitra Mahajan said the House sat for 71 hours during the Monsoon Session. She said 29.58 hours were wasted due to disruptions, but the House tried to compensate it by sitting for 10.36 extra hours. Starred questions numbering 63 were given answered orally and 4370 unstarred questions were given written responses. Ministers laid 1270 statements during the session, while members also introduced 28 Private Members Bills in the House. Crucial legislations like the Company (Amendents) Act 2016 and the NABARD (Amendment) Act 2017 were also passed by the Lok Sabha. The session saw six Congress MPs getting suspended for five days for hurling papers at the Chair, termed as "highly unbecoming" behaviour. The suspended Congress members were Gaurav Gogoi, K Suresh, Adhir Rajan Chowdhury, Ranjeet Ranjan, Sushmita Dev and M K Raghavan.